If you are interested in how our system is moderation, and why on the Internet meet different reviews about working with us, in this article, we describe in detail what the quality control Department of the sites, how does auto lock on the basis of voting PRO and VIP users and what to do in case of termination of your website. unlike many affiliate programs, we accept all sites without restriction and pre-moderation. Why do we accept all sites without moderation? Thus, we save time webmasters and allow to start to work immediately after registration. But at the same time, many partners are beginning to fear that their website can block. to avoid blocking your sites should fully correspond the Rules of the system. Test sites is in the process of work as automatic methods of protection, or manually. Login referrals for referral bonuses when using the program. What if my site blocked? If your site is blocked, you must be familiar with the cause of the blockage. 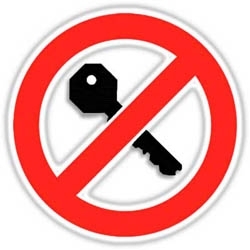 After you correct the cause, in addition to thoroughly check the compliance of your site the rules of the systemto avoid a full lock with manual testing. And submit the application in Arbitrage, for consideration unlock. we Hope that the information will be useful for you. As always, you can ask any questions Support. We also thoroughly dismantle these cases, and also give recommendations on how to improve the quality of your site.